HVMS is an advanced medical records driven practice management platform with ability to run a single clinic to a multi-state, multi-country hospital from one database. HVMS is an advanced practice management platform with ability to run anything from a single clinic to a multi-state, multi-country hospital from one database. Bring your practice to the field with HVMS Tablet version. Get on demand access to analyze and visualize aggregate data with BI Dashboard. Need Better Inventory Management? Looking for Custom-Fit Veterinarian Compensation Strategies? Want to Reduce COGS? Not all Practice Management is the Same......Find out why the top practices use HVMS. 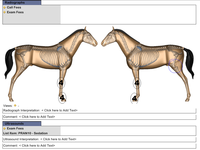 HVMS offers a complete equine platform, but we have struggled with software fixes. Pros: HVMS offers a more complete platform of software services than any other I have seen currently on the market. Their inventory management software has allowed us to completely revolutionize the way we manage our inventory. Now we track everything and save thousands in lost product. Overall the software is user friendly and is easy to teach to new hires. The appointment schedule is easy to use. The billing for clients is set up in a way that makes sense for equine clients, and allows for split ownership and leasing of horses. The invoices are easy to read and our clients love them. When the software is working properly, the medical history tab is very functional and allows for a very detailed medical record. I appreciate the many reports available within HVMS and regularly use the production reports to track revenue by doctor and compare month to month. The accounts receivable reports are easy to use and very helpful. Cons: We have struggled with software fixes, and errors within the software. Although the help desk is often available, it can take days or weeks to identify and correct errors we are experiencing with the software. HVMS IT is quick to blame our onsite hardware, which is rarely the cause of the problem. The reminder system leaves a lot to be desired. We have abandoned the reminders that are printed by the software and instead use the data to create our own digital reminders. With all that HVMS is capable of, emailing reminders to clients should be an available function. HVMS is slow to fix reports that don't pull data correctly. Seems like they could use more programmers. Overall: It allows us more control in how we manage our business and supplies us with more data than I have seen available from other software platforms. I appreciate the versatilty of the software but we are all extremely frustrated with slowness!! Pros: The navigation between different areas of info are very helpful, there are many ways to get to the information you are looking for. I appreciate the many filter options that help refine searches. Cons: The biggest issue of all for our entire hospital is slowness! It is slow trying to type in information, it is slow searching for patient histories, it continues to get slower if you are trying to search by invoice (presumably because there are so many invoices now?). When you are sending an e-mail thru HVMS and trying to type a note, say sending a statement to a client, it would be SO Helpful if you could save a draft! Having to cancel the e-mail because you get a phone call before completing the note is super frustrating!! It is not uncommon for HVMS to completely freeze up and randomly just close the system without warning, screen just suddenly goes black. That is a frustrating loss of all the screens you had open, you better remember all of the different things you had going on. Closing the month for billing has always been slow but has been extremely slow recently, we often have to have the entire staff close down their computers for 20 - 40 minutes while trying to close the month but a couple of times lately it was 4 - 6 Hours! What a waste of time for sooo many employees (we have about 70 employees, large practice) and the sudden loss of the treatment plan is really hard on our employees doing treatments. The functionality of the product is ok at best. The worst part is the customer service. Pros: HVMS has worked for our all equine clinic for the past few years. The pros are that is is tailored to equine for us and the ease of use is pretty good. Cons: The worst part of the software is the support and customer service. The computer has a LOT of glitches and randomly will close on you or send an error message, several times a day. It is also not cloud based and syncing can be a pain since we are ambulatory. Updates are needed. It often does not link to Global Vet Link when we try to run coggins test as well. Thank you for taking the time to review our software, we value your feedback! I'm sorry you are not satisfied with the customer support you have received and would like to take this opportunity to address a few of your concerns. We were able to determine the cause of your HVMS software randomly closing was due to an "auto log-off" setting your practice had enabled. We had resolved that a few months back but if this is still a current issue you are experiencing, can you please reach out to us and let us know so we can investigate further and get it resolved for you? Pros: There are too many positive attributes to list regarding HVMS software. These are only a few: the ease of inventory control in the hospital and truck ( and transferring); the ability to set up relational billing /"pickers" so that inventory items & services are not omitted; by having these functions, we are lessening the possibility of lost entries and revenue; ease of use by all staff & the variety of reports available allow you to track and see so many functions regarding everything from inventory, production and revenue. The Business Infusion/HVMS support staff is extremely helpful to assist with problems and suggestions and from an overall perspective---HVMS more than meets the needs of this practice. 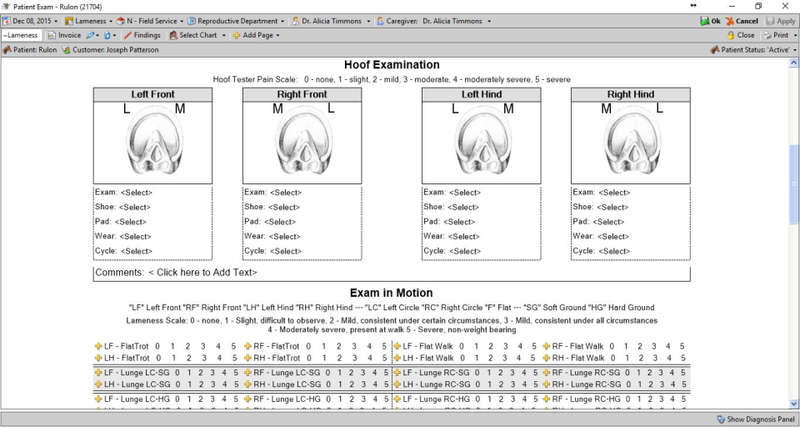 We have had other equine veterinary software and this by far is the best software investment! Cons: While it is difficult to list any "cons" regarding HVMS software. At this point, I can not think of one negative comment. Overall: I have listed in the review submitted the "pros" of this software. Franklin Equine Services, LLC is an avid fan and promoter of HVMS. We strongly recommend it to any other our fellow practitioners. This software is fantastic for a sole or multi-practitioner practice...or practices that have multiple locations. 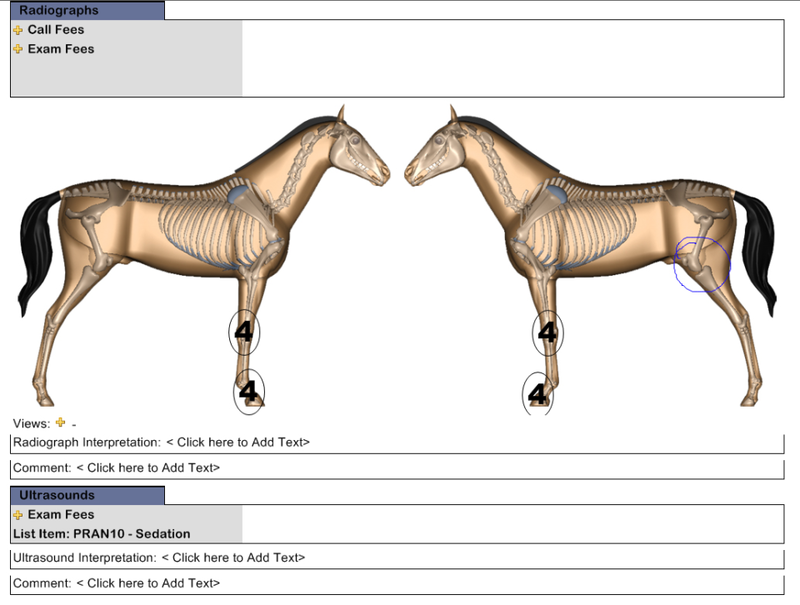 It fits the needs for equine veterinarians. We received the new software as part of a deal with a practice management group. Pros: I think it is basically user friendly and easy to figure out for our new staff. I don't know that it's any better or worse than others as I have only used DVM software prior to HVMS. HVMS is more advanced as far as technology goes compared to our other software. Cons: That it has to be rented and can't be purchased. And that the remote server is in Texas and it is not always available. Software was easy to learn. Customer chat is very helpful with questions. Pros: Software is user friendly. It is easy to search by horse, customer , or trainer. 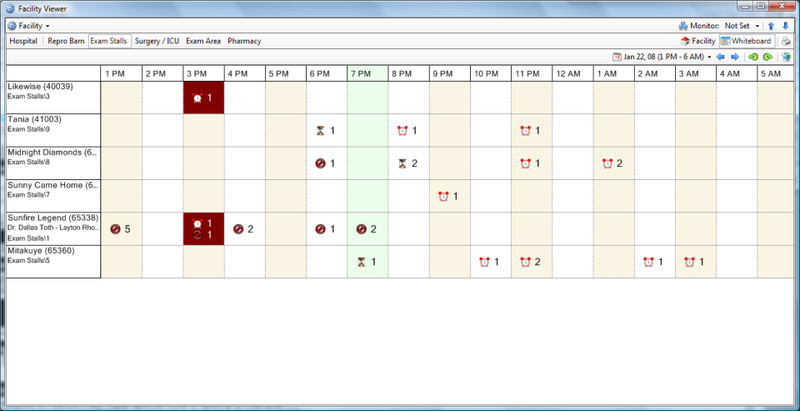 Calendar is easy to set appointments and reserve equipment needed. 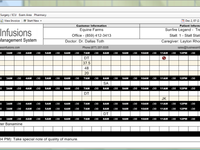 Inventory system is easy to track the medications in the pharmacy and on the trucks. Just make sure employees properly transfer items. Human error is our most common problem. Cons: When system updates are done. Sometimes things change and you are not notified. Sometimes when tickets are started for new questions or concerns, it seems like they can be overlooked if you do not keep inquiring about them. Overall: Information is at our finger tips when on the phone with clients. Thanks again Kris for your continued support! This entire software package is integrated across all aspects of practice management; if you put the time into developing all the aspects of this software and integrating them you will find numerous aspects of your practice that need improvement. Which translates into higher standards of practice. Cons: Cost....but really...its not a complaint because its worth it. I have used this software in multi-state practice / multi-profit center practice / multi-inventory location practice / multi-accounting and business partners practice and have had struggles at times; but this company readily takes those struggles and solves the problems. These folks are committed to problem solving like no company I've worked with. I am the main point of contact at our clinic for HVMS support requests. Pros: It seems to be a well-rounded software. I like the integration of bar codes and supplier translations. Will go back to using the Reorder Matrix to import into orders, now that the sales tax issue is fixed. 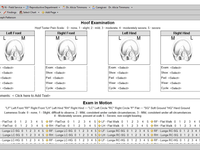 Cons: Would like to see the creation and modification of worksheets be more user-friendly. Would like to see more suppliers integrated into HVMS for ordering (perhaps via Vetcove?). Would LOVE to see the Mins/Maxs tab operate using a Min and a Max number and allow it to determine the order amount based on the MAX number vs the QOH for that item. Would like a more specific way to track/account for inventory that is used in-house and not billed to clients - other than making adjustments. Pros: the hospital template and treatment plan makes it very easy to get all horses treated and the billing done in one step. Cons: The remote servers sometimes is down and then we can not use the treatment plan. I also tried to get a repro module done a couple years ago and was told it was in the works and would be ready soon and then I gave up after several months and no progress. Overall user friendly with good support, easy to access patient and client info, some glitches. Pros: Scheduling multiple doctors. 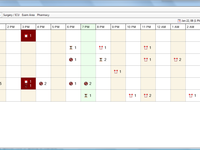 The view of the schedule and ability to modify appointments easily is helpful, especially during very busy times. Allowing us to be able to personalize events is beneficial on keeping the doctors organized and efficient. Cons: Reports. Not easily readable, typically confusing, or not the information we are looking for. The names of reports are not always indicative of the information that will be given. It typically takes several attempts to find the right report and select the correct filters to get to the information needed. The early learning curve for full use (management) is quite steep. Pros: Good variety of financial reports available. Reasonably good inventory control. Reliable tablet version with easy synchronization. Cons: This is probably our weakness as much as anything, but the worksheets have not been easy to modify. The amount of time needed to customize the software is significant. One of my other concerns is that from a medical-legal standpoint, the records are not unalterable. Previous records can be altered without any indication of an alteration. Overall: Good financial reporting. Reliable tablet version. I have a love hate relationship with this software. 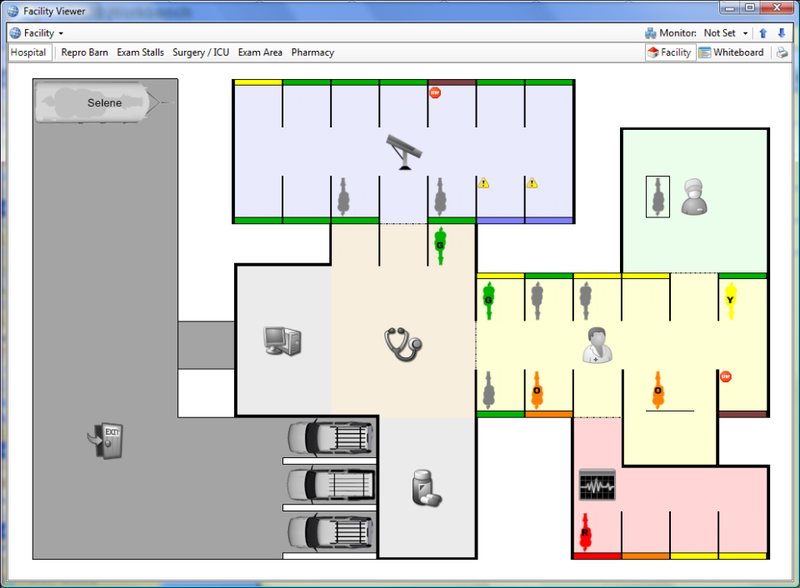 Pros: The whiteboard and facility map, the integration of inventory, scheduling etc. The integration with lab results (for those systems that work). Cons: It is very prone to bugs and errors and cannot do a number of simple things that I think it should be able to do. Everything related to invoicing and reporting is a complete headache and clients don't like the format of invoices. Compensation is also overly complex and we never know if people are really getting compensated as they should. Pros: everything in one place. not cloud based so works even without cell service. has the option for in house treatments as well as field cases. Overall, HVMS seems like a pretty good program even though it does have some glitches. Pros: The fact that it can be equine specific is a plus. There are many different options and features that are good as well. Cons: The worksheets. We have to wait so long for help to get them customized and then the process to do so is tedious. There are also so many options that the program isn't super user friendly and can almost be too technical at times. We have also had problems with linking credit card processing systems as well. Overall: Our business runs effectively each day. Pros: Daily operations are generally pretty easy, entering new patients, patient history notes, invoicing etc is straightforward. Ability to make sales plans under one general code. 30-minute schedule easy to read and show multiple users schedule at once. Cons: Difficulty customizing reports and extracting/exporting data. Length of response time with new ticketing customer service methods. "KNOWN" bugs/glitches that continue to go without being fixed. Pros: I did like when I could go to the website when I had an issue and teamview right away to resolve issues. Now that for some reason is not an option. Cons: I have issues with the connection, it runs very slow when I have great internet service. I get errors for days when I am uploading pics to process coggins. Some days I have to log out and back in 3 to 4 times to get my work done. IT used to be so helpful but I don't feel like they are as available as they used to be. Thank you so much for the review of your HVMS software, we at Business Infusions appreciate the time you took to review our software `HVMS¿. I¿d like to take this opportunity to address some of your concerns for you. From your comments it appears you are having issues with the server hosting solution and IT services you are receiving from the Inova Management company. We are no longer affiliated with that company however they use our software for all their clients and offer the server hosting and IT services. They have taken the teamviewer link off their website but you can still access it directly from within your HVMS software from the top left hand corner of your workbench. I believe the issues you are experiencing with slowness, connection drops and errors are related to the hosting solution they have in place for you. I will reach out to them on your behalf and start a support case to see if their IT is able to look into this and can offer any solutions for you. Pros: Powerful program with many analytical features. Relatively easy to invoice billings. After much trial and error, I have made the reports section be of business and financial value to me. Cons: Monthly support fee is very high. Day to day use is manageable but making changes to codes and values is a nightmare. Support is there but slow. Seems support staff is overwhelmed with work and can't keep up. A system you get used to after awhile. Cons: Not the best system for tracking financial end of business. Reports are confusing. Having to make separate invoices for each animal even though they are owned by the same person. 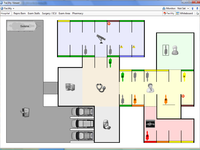 HVMS has been a great practice mgmt software and we look forward to further improvements. Pros: Customizable invoicing packages allows us to minimize missed charges. Worksheets create uniform documentation. Cons: Difficulties with inventory management. Difficulties with accurate commissioning. Difficulties with remote access. Unable to see my schedule real-time. No smart device compatibility. Pros: Ease of use, lots of features, ability to customize. Tech support team is always quick and helpful. Cons: There are some things that we need to contact tech support to update, like the calendar, would be nice if we could update it ourselves. However, support is always very quick and painless! If they don't already have it - They will! Pros: I really like the ease of use, many options for record keeping, and the continuous upgrades to make things better! Cons: I least like errors! I am sure that I am typically the one causing them though. I would also like to be able to create worksheets or documents for use through the software. Cons: Difficulty with Creating new worksheets or making changes to current worksheet formats can be challenging . I'm not sure you can know enough to set this system up in the best way for your practice. Pros: The variety of information it offers. It can do some real complex reports. Customer support has been helpful. Cons: It's not as user friendly as I would have expected. It seems to lack the ability to run simple information. Way too many clicks, very complex system! Inventory Management very complex and is taking a ton of time to learn, even after 18 months we still have stuff incorrect. Pros: Online support staff are easy to get in touch with. Great communication, follow through with any problems we may have. Pros: The ease of use & the amount of info you can store for one horse. The ability for the vets to take the tablet with all of the same information that is back at the office on the road with them. Cons: The customer service. There is no easy way to get someone on the phone to direct you on how to fix something quickly. It's always a process. Was difficult to get used to at first but with more use, it has become much easier. Pros: A comprehensive product. Invoicing is easy. 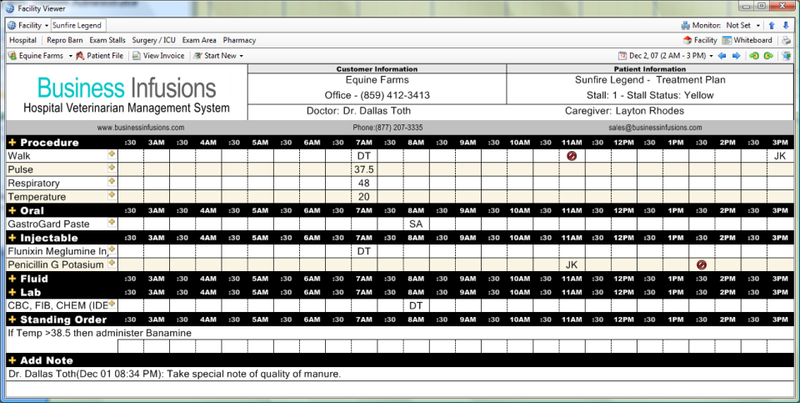 Allows us to keep detailed notes on patients, easy to go back and get history from previous visits from worksheets. Rapid billing. Cons: Occasional bugs and issues connecting to VPN. Wish we had an application for iPhones. Inventory counter will occasionally expire even though replication time span has been extended for our company. This program has several functionality aspects that makes things markedly easier. Pros: Scheduling, inventory control, packaging inventory and billing codes, worksheets, and production management. Cons: Several errors, loosing records, inconsistent data, no confidence in storage, major flaws in records/ production, and code management.